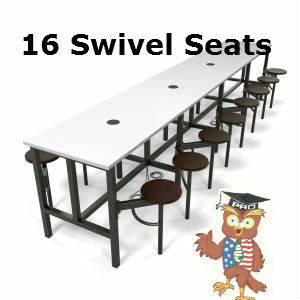 CAFETERIATABLE Guide here. 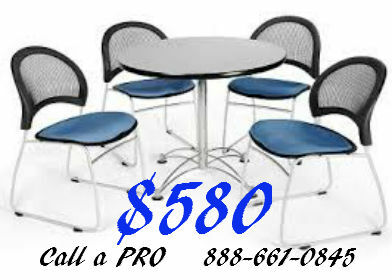 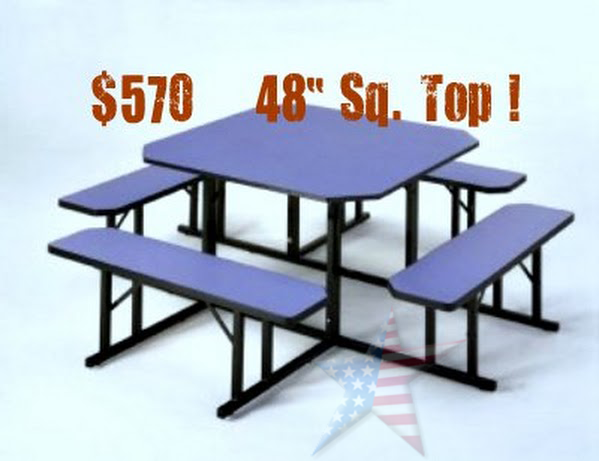 Make break room seating, lunch room seating and cafeteria seating EXCITING again! Try and MIX or MATCH Seat Colors and table top colors! 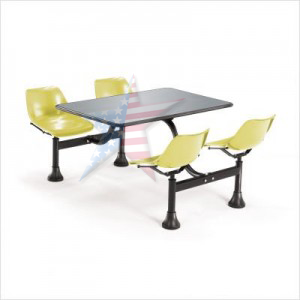 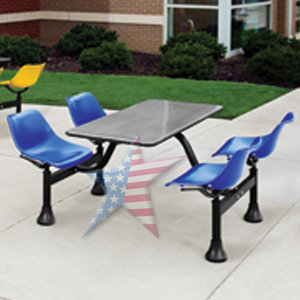 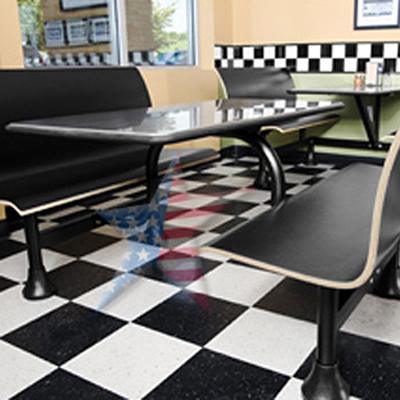 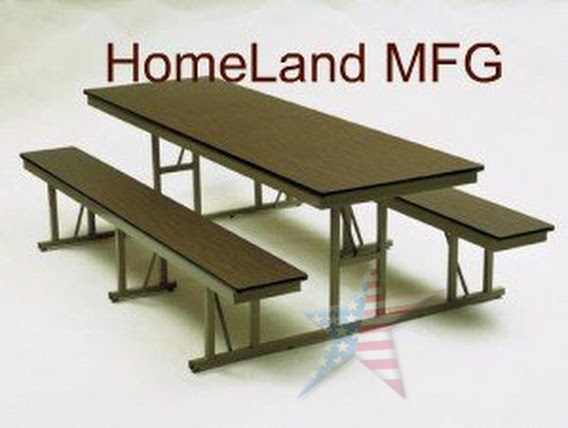 Our All Steel Cafeteria Seats, Frame and Tops are used in playgrounds, break rooms and lunchrooms. 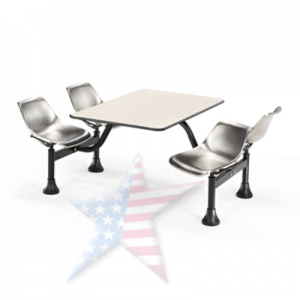 Our Cluster Cafeteria Tables & Restaurant Seating includes 4 attached STEEL LUNCH CHAIRS with an auto-return swivel feature. 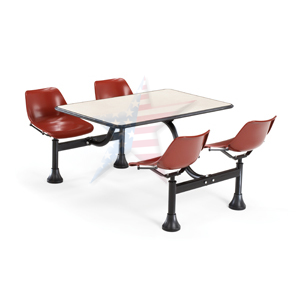 The Cafeteria table and chairs are both waterproof and fireproof and the frame features a scratch-resistant powder-coat paint finish. 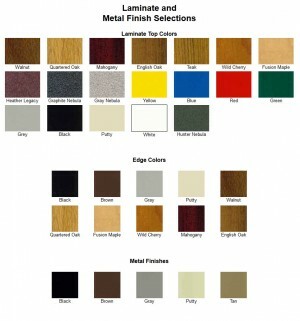 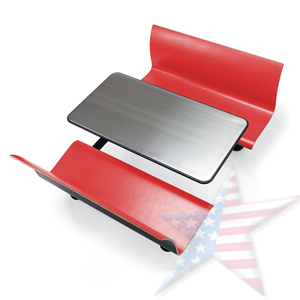 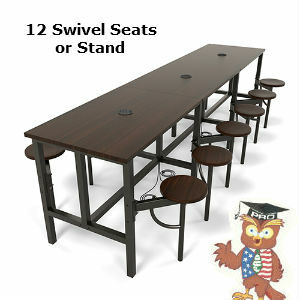 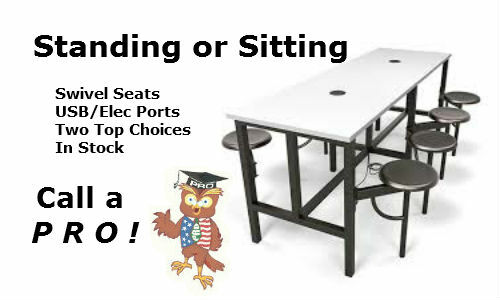 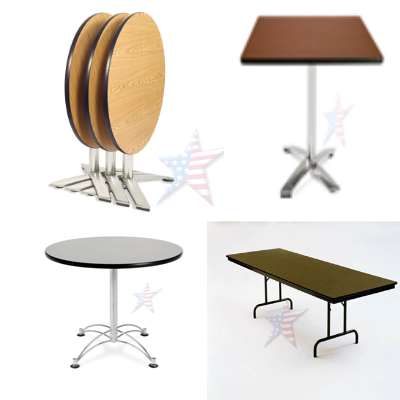 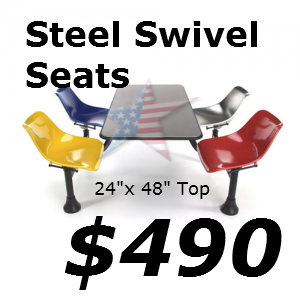 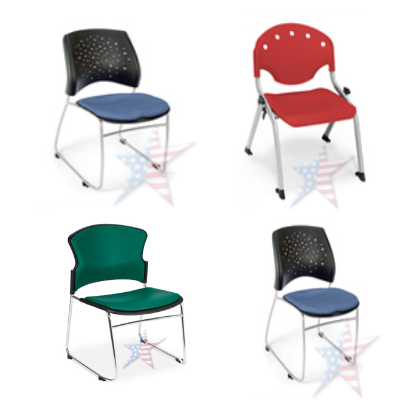 Available in a variety of seat and laminate colors or stainless steel tops and seats. 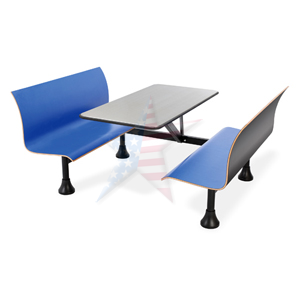 Seats and top colors can be mixed and matched. 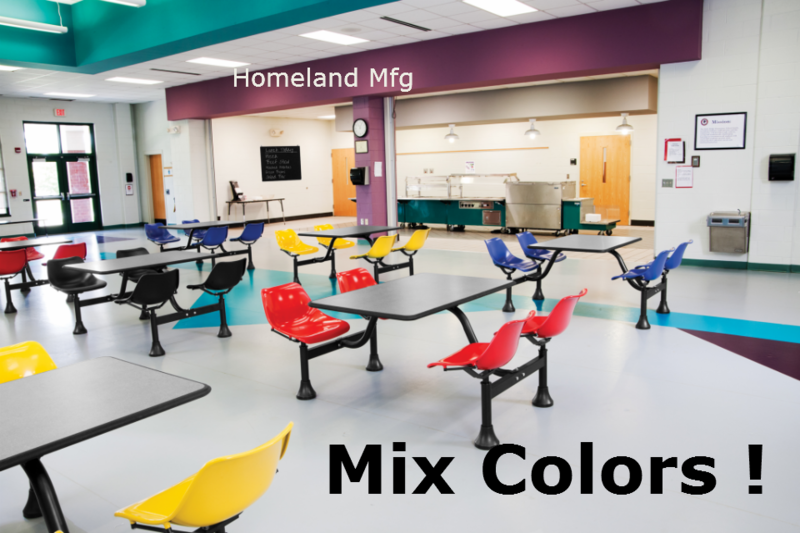 Our Cafeteria Table Guide was designed to to show different ideas in color mixes. 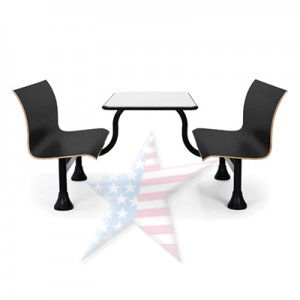 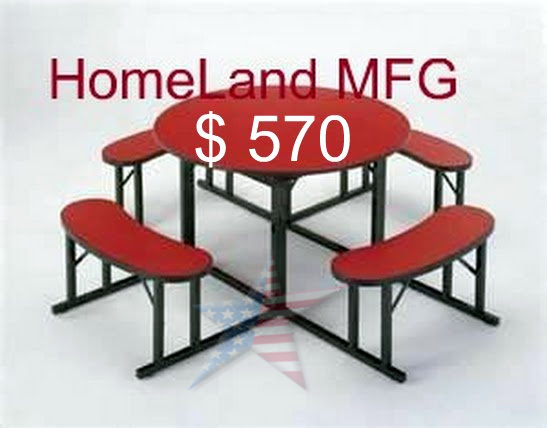 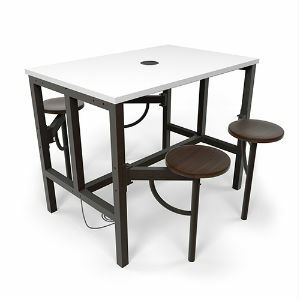 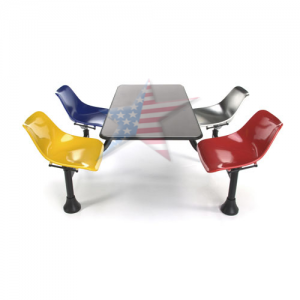 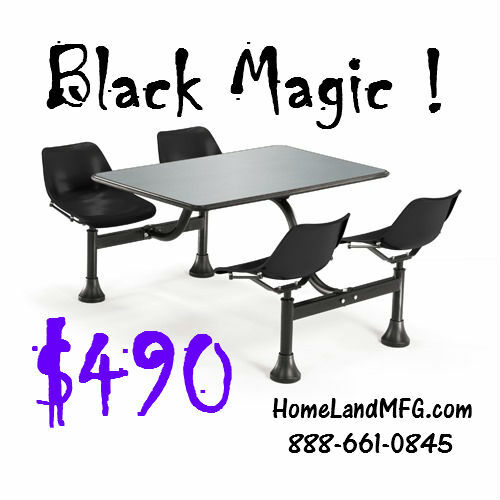 Our current customers have found these seats and tables to be very durable for use in factory break rooms and employee lounges.